Thank you to Barb Goffman who alerted me to her presence in the book. 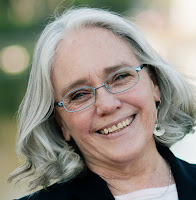 SMFS member Dawn Lyon’s (writing as Julie Leo) short story, “Eat My Dust” appears online as “Rural Crime Flash Fiction” at the Mystery Tribune. The story is free to read online and can be read here. Her story, "MRS. TICKTOCK" also appears online and free to read at Every Day Fiction. SMFS member Margaret Mendel’s short story, “Easter Haunting: An Easter Supernatural Mystery Short Story” appears today online at Kings River Life Magazine. The story is free to read online. 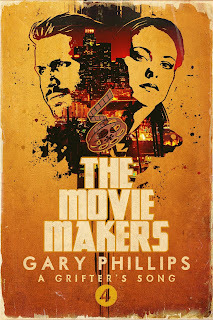 This week’s blog pours it on again: links to reviews, releases, free reads, and more. 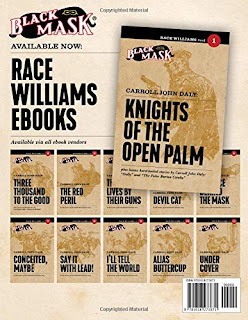 Includes a link to the April 2019 issue of Noir Nation. 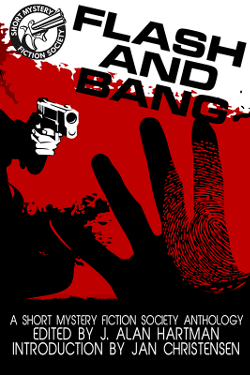 Use Amazon’s Look Inside feature to learn editor Eddie Vega’s views on hardboiled vs. noir vs. crime fiction and other subgenres. Plus, reviews of the best mystery stories Rob Lopresti read during the past couple of months. 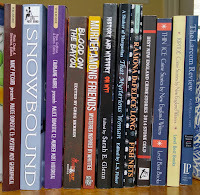 A short walk down a dark street (#48): celebrating short mystery and crime fiction. Debra H. Goldstein with “Nova, Capers, and a Schmear of Cream Cheese” as well as the introduction to the book. James M. Jackson with "Power of Attorney." My thanks to SMFS list member Steve Shrott, aka Mark Stevens, who alerted me to the book on behalf of himself and other members. SMFS Member Alan Orloff is a 2019 Thriller Award Finalist. 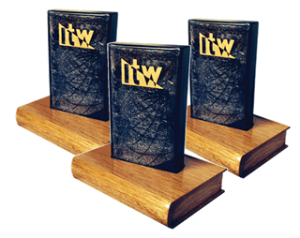 His book, Pray for the Innocent, is a finalist nominee in the “Best E-Book Original Novel Category.” Winners will be announced at ThrillerFest XIV on July 13, 2019 in New York City. 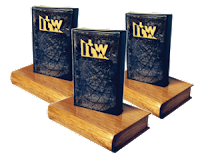 For more information, including the full list of all the finalists this year, go to the International Thriller Writers website. This week’s blog struts its stuff with links to reviews, releases, free reads, and more. 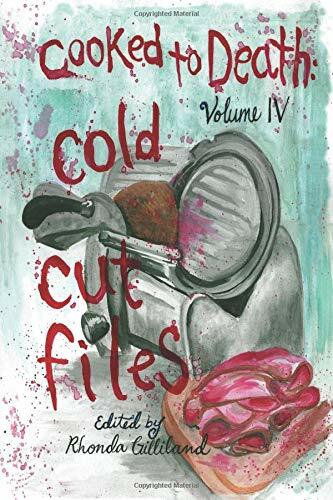 Includes two reviews of Teresa Solana’s zany collection The First Prehistoric Serial Killer and Other Stories. Plus, a screenwriter identifies seven big storytelling mistakes. 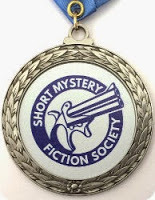 And as a special bonus for your friends who aren’t SMFS voting members: Links to all five Derringer Finalists in the flash fiction category, free to read. 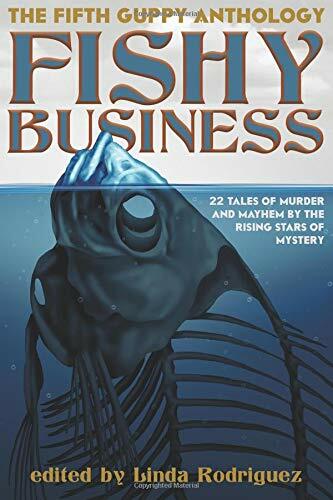 A short walk down a dark street (#47): celebrating short mystery and crime fiction. 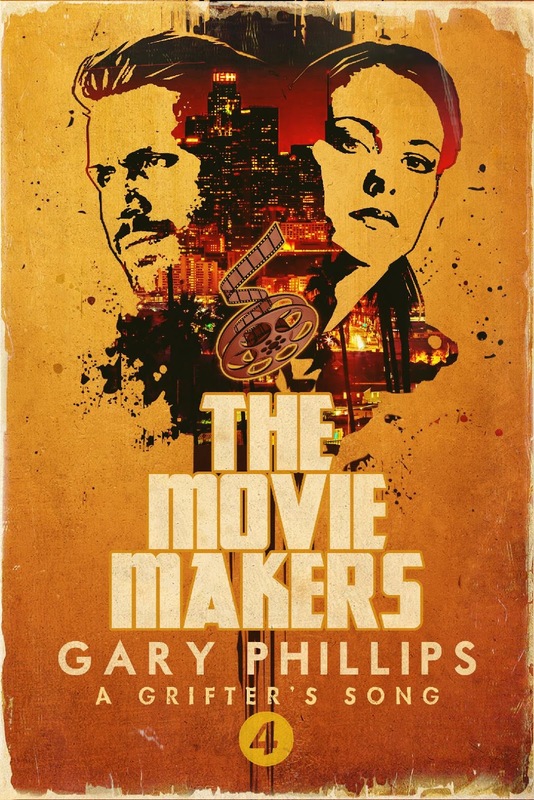 SMFS member Gary Phillips’ novella titled, The Movie Makers has been released by Down & Out Books. This is the fourth installment of the five book series, A Grifter’s Song. At this time, the read is available in eBook format only from the publisher, Amazon, and other vendors. An excerpt from the book was published online last February at Retreats From Oblivion: The Journal of Noircon. Sam and Rachel are working a con in La La Land where the gold is for the asking as long as you can spin a captivating fable. Rachel’s character is an indie producer with Silicone Valley roots and Sam a life coach as they work their magic on the mark. 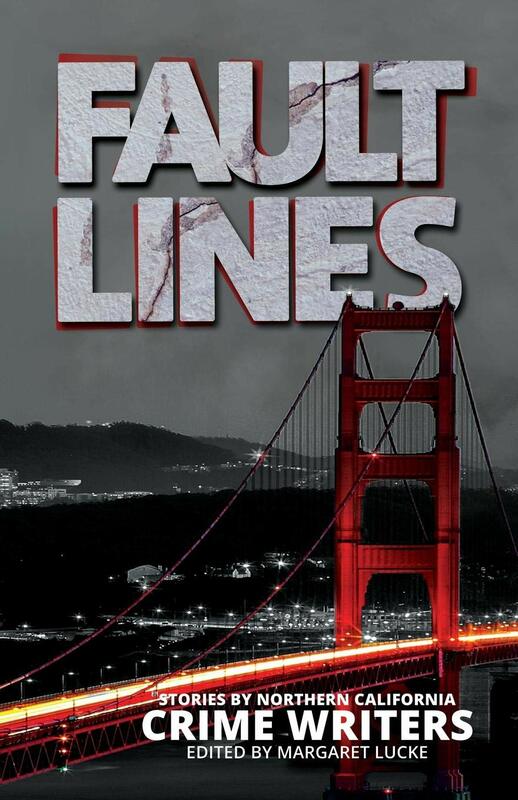 SMFS member CJ Verburg’s short story, “Birdbrain” appears in the just released anthology, Fault Lines: Stories by Northern California Crime Writers. Published by the Sisters in Crime Northern California Chapter, the read is available in print and digital formats at Amazon. Edited by Margaret Lucke. 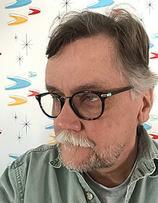 CJ Verburg is the third SMFS member to announce a presence in the book. 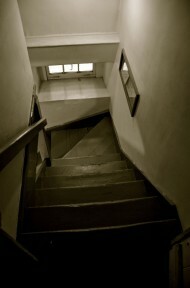 As reported last month here, Deborah Lacy’s short story, “Please See Me” is included. As reported yesterday here, C. M. West’s short story, “True Culprit” also appears in the book. Fault lines in the earth can shake our world. Fault lines within people give rise to wrongs that must be righted. 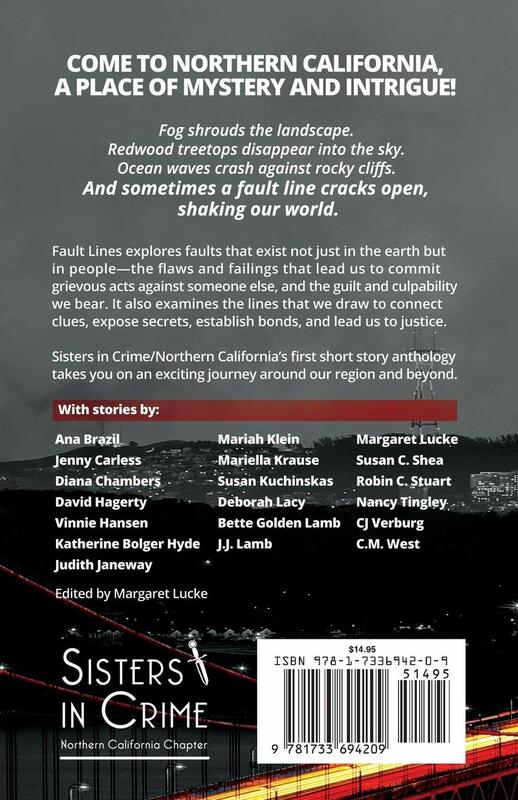 Sisters in Crime/Northern California’s first short story anthology invites you to take a journey into mystery and intrigue, with 19 short stories that explore crime, guilt, and justice in our earthquake-prone region and beyond. 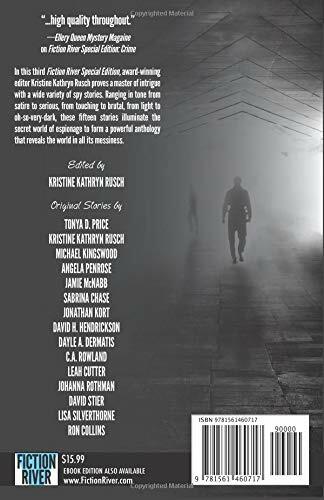 Contributing authors: Ana Brazil, Jenny Carless, Diana Chambers, David Hagerty, Vinnie Hansen, Katherine Bolger Hyde, Judith Janeway, Mariah Klein, Mariella Krause, Susan Kuchinskas, Deborah Lacy, Bette Golden Lamb, J.J. Lamb, Margaret Lucke, Susan C. Shea, Robin C. Stuart, Nancy Tingley, CJ Verburg, and C.M. West. Foreword by Terry Shames and Diana Chambers. 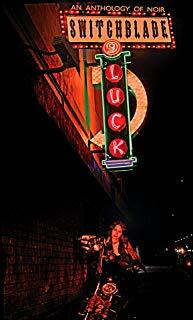 SMFS list member Jeff Esterholm’s short story, “Mile Marker” is now online at Beat To A Pulp. You can read the story here. 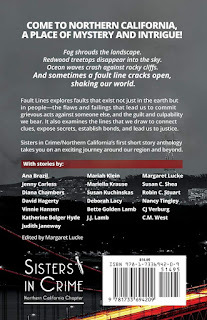 SMFS member C. M. West (in collaboration with Mark Butler) short story, “True Culprit” appears in the just released anthology, Fault Lines: Stories by Northern California Crime Writers. 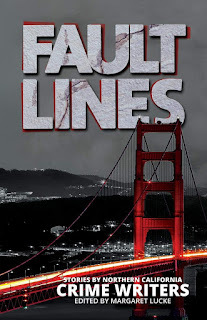 Published by the Sisters in Crime Northern California Chapter, the read is available in print and digital formats at Amazon. Edited by Margaret Lucke. C. M. West is the second SMFS member to announce a presence in the book. 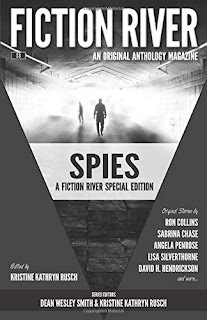 As reported last month here, Deborah Lacy’s short story “Please See Me” is included. SMFS member Donna Albrecht’s short story, “No Regrets: A Crime Short Story” appears today at Kings River Life Magazine. The story is free to read online. 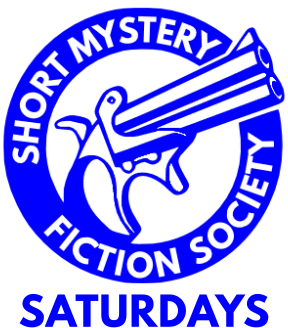 For SMFS Short Story Saturdays today, list member Travis Richardson shares the short story, “Here's To Bad Decisions: Red's Longneck Hooch” archived at Shotgun Honey. The tale first appeared in May 2015. Tales of crime and cookery. 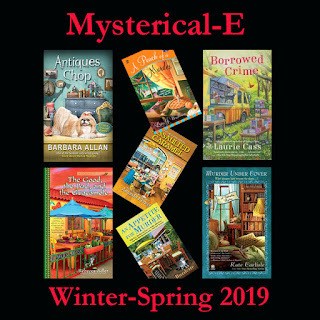 The Mysterical-E Winter Spring 2019 issue has been released and is now available to download and read for free at Mysterical-E. 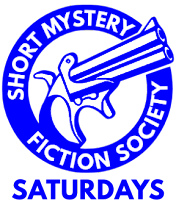 While the issue does not feature any fiction stories by SMFS members, it does feature columns from them. 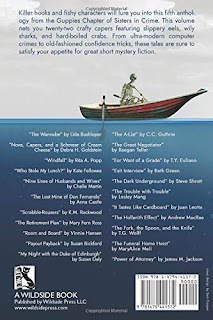 Kaye George has a new feature titled, “What’s Your Process” where she interviews authors on their writing process. 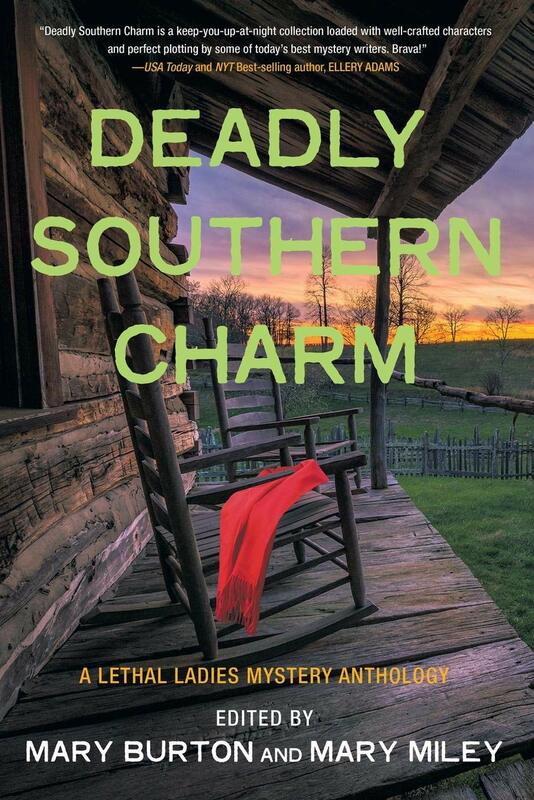 Fellow member William Burton McCormick is one of four authors interviewed for this debut column. Gerald So is back in this issue with his long running feature, “Mysterical-Eye.” Along with a brief overview of various television shows and news snippets, Gerald provides a recommendation for a new television based on family personal experience. 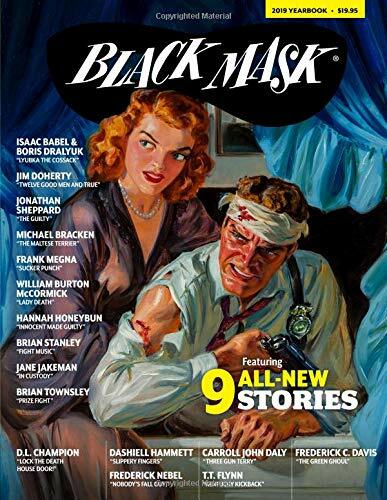 Black Mask, the greatest American detective magazine of all time, is back with another issue. This time around, it includes nine new stories in the Black Mask vein by Brian Townsley, Jane Jakeman, Brian Stanley, Hannah Honeybun, William Burton McCormick, Frank Megna, Jonathan Sheppard, Michael Bracken, Jim Doherty, as well as a new article on Raymond Chandler’s The Little Sister by Katrina Younes. 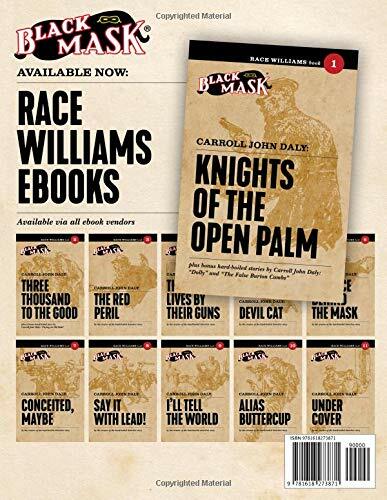 And, as with previous issues, Black Mask collects some of the best hard-boiled detective fiction from the Popular Publications vaults, as written by some of the genre’s best: Dashiell Hammett, D.L. Champion, Carroll John Daly, Frederick Nebel, T.T. Flynn, and Frederick C. Davis. I don’t know how common it is to turn a short story into a long-running series. Let me share the tale of how I did it. 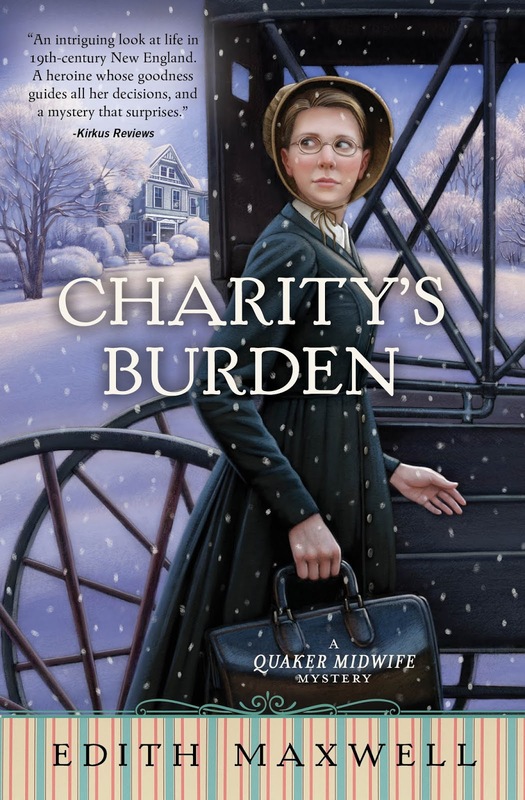 And I’ll give away a signed copy of Charity’s Burden to one commenter here. In the summer of 2012 we downsized and bought a house in Amesbury. I already had friends here and loved the historic town full of brick mill buildings and a river that runs right through downtown. And now I could walk to Meeting. I was interested in antique houses, since renovating them (including the ones we live in – while we’re living in them…) is what my beau does for work. But I didn’t know much about Amesbury’s history before moving to town. The next spring I read a newspaper article about the Great Fire of 1888 in Amesbury. The town was world-famous for its graceful well-built carriages, and the fire on the night before Good Friday burned down most of the factories on Carriage Hill. It was a huge disaster and was only saved from being worse by rain that fell during the night. 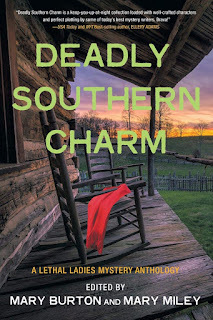 After I read that article, I was strolling to the lovely simple Meetinghouse built in 1851 one First Day morning when a short story popped into my head about the Quaker mill girl who solves the mystery of the arson. Historically the Great Fire wasn’t arson, but hey, I dream up fiction for a living. 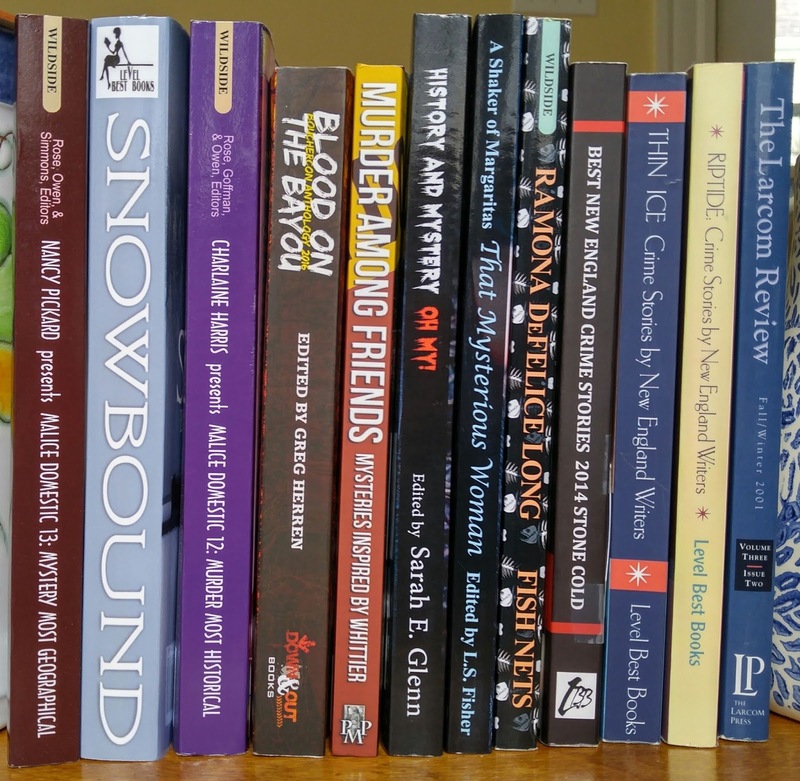 I wrote that story, and “Breaking the Silence” was published in Best New England Crime Stories 2014: Stone Cold (Level Best Books, November 2013). 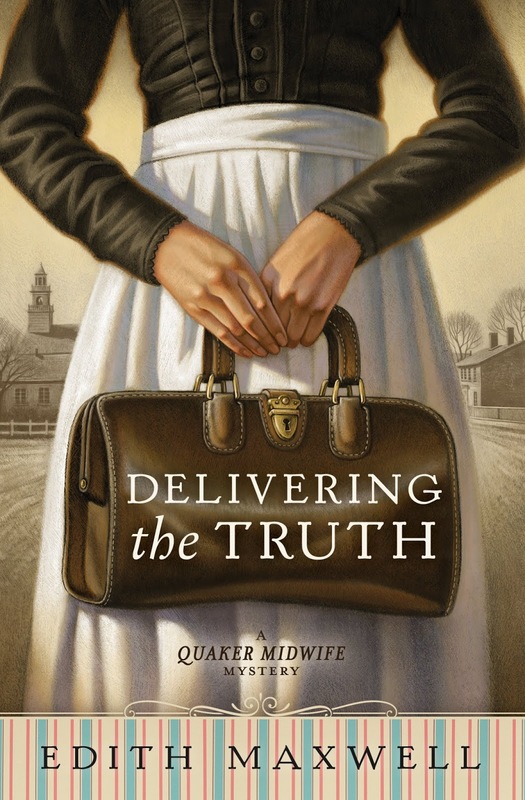 As happens with writers, the setting and characters refused to go away, so I invented the girl’s midwife aunt Rose Carroll, wrote Delivering the Truth, and sold the series to Midnight Ink. 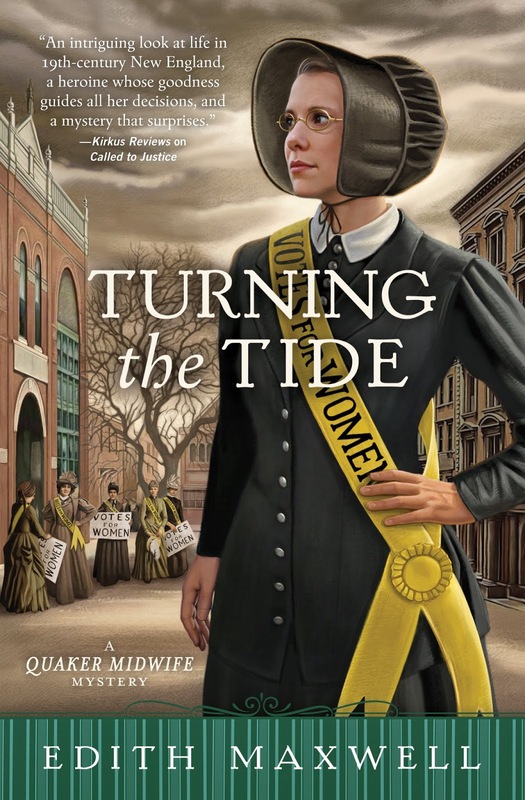 The first three books have been nominated for an Agatha Award for Best Historical Novel, including Turning the Tide this year. I love delving into all aspects of life in the late nineteenth century, learning about historic figures in town, and studying maps from the era. It’s a fascinating time to write about, being on the cusp of so much cultural change. The new book, Charity’s Burden, treats the topic of birth control, which was hugely controversial at the time. Midwife Rose Carroll’s clients come to her with pregnancies, but they also seek her help when they don’t want to have another baby – whether before or after they have conceived yet again. The highly restrictive Comstock Laws were passed in the 1870s, which made even speaking about preventing pregnancy a crime. Herbalists and others turned to evasive wording in the advertisements for their products, calling them products to regularize women’s cycles and improve their health. Certain practitioners also offered abortions, which of course were life-threatening at the time. 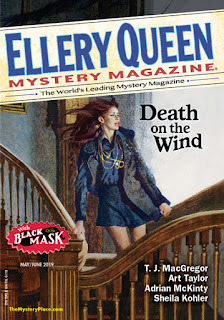 I wanted to explore these issues – in the context of a murder mystery, of course. I’m excited Quaker Midwife Mystery #4 is out, and I am happy to announce the series is moving over to Beyond the Page Publishing with book five. 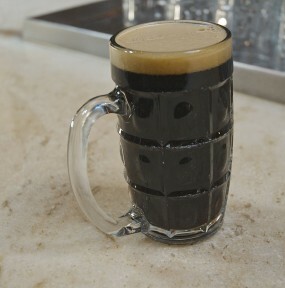 Look for Judge Thee Not to release this fall! There will be at least two more in the series after that. 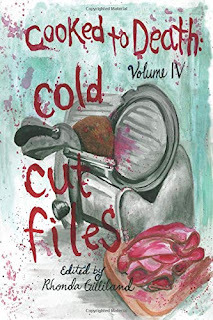 My next short story, “Sushi Lessons,” releases in Malice Domestic 14: Mystery Most Edible, and my next Country Store mystery, Strangled Eggs and Ham (written as Maddie Day) comes out in June. 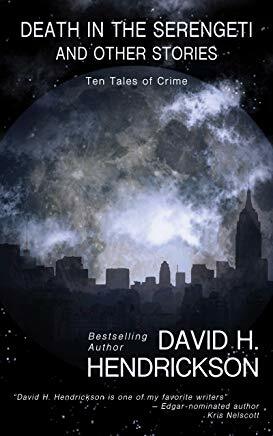 Readers: Do you know of other short stories that have led to series? Writers, do you ever cross over? 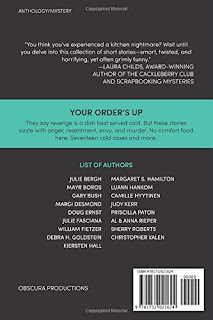 I’m happy to answer questions, too, and I’ll give away a signed copy of Charity’s Burden to one lucky reader.